The new law will allow much greater security to the individuals and their personal data, with greater rights associated around how their data is handled, stored and processed by all business. Businesses, on the other hand, will have to change their internal processes and procedures if they wish to hold and process personal data and remain inside the law in the future. • Establish what “personally identifiable data” you actually have, where did it come from, why you have it, where is it, who has access, who do you share it with, is it protected and still need it? • The law requires that companies show data protection governance to demonstrate that they take data protection seriously; a route here would be to employ a Data Protection Officer (DPO) to advise the business of its obligations, monitor company compliance, training staff and be available for enquiries from individuals about their data. Some like schools, public authorities and large scale processors of “sensitive data” must do this by law. Processor A natural or legal person, agency or any body which processes Personal Data on behalf of the Controller. Can also be an automated entity such as a server, website, cloud service provider. Example – a developer, tester, analyst. 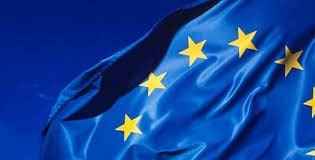 Enterprise Any natural or legal person engaged in an economic activity; essentially includes all organisations whether in public or private sector – whether in or outside the EU.